Established in 1984, Titan Industries Ltd. is a leading manufacturer of watches, jewellery, and sunglasses in India. By introducing the futuristic quartz technology and an international styling to compliment the technology, Titan Industries brought about a paradigm shift in the Indian watch market. Today, with a customer base of 65 million and innumerable admirers world over, Titan Industries boasts of being the fifth largest integrated watch manufacturer in the world. Titan Industries Ltd. has Libra Ascendant and its Moon sign is Capricorn. 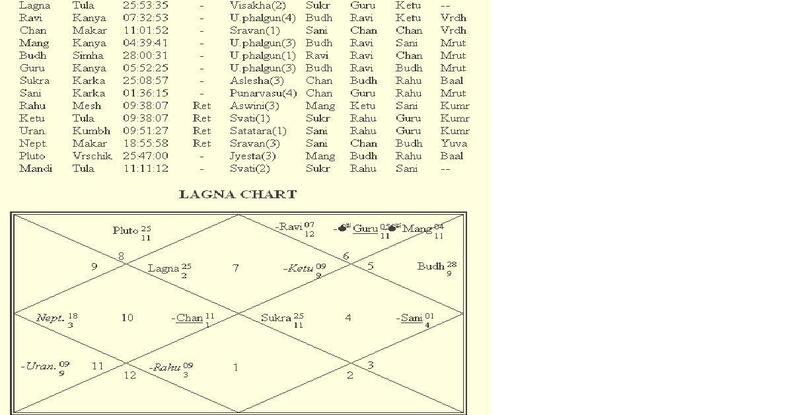 Ascendant Lord Venus placed in 10th House is auspicious and pronounces favourable results. When Venus receives benefic aspects, the resources of the company augment and trade flourishes. Mars, the Lord of the House of economy and partner is posited in the 12th House. Also, Mars is combusted and pronounces negative results. When Mars is severely afflicted, the effects are atrocious and wicked. The placement of Mars in this House compels the management to take stern steps to quell and subdue the agitation of the workers. Mars enables an organization to check and counter the disruptive activities rather forcefully. The Lord of the 3rd and 6th House, Jupiter, is also posited in 12th House. Jupiter too is combusted. Jupiter is the planet for expansion, hence all the big, high budgeted plans progress well. The collection of debts goes according to the plans. Jupiter is afflicted in the 12th House, resulting in an increase in surreptitious activities that damage the image of the company. The organization may go through a difficult time. However, if Jupiter receives favourable influences, it enhances the expenditure but in turn yield sumptuous profits as well. Saturn, the Lord of the House of production and speculation is placed in 10th House and gives benefits in stock market. Saturn posited in the 10th House assumes great importance, particularly in respect of the head of the organization. It alleviates the person to a great height but the person soon gets exhausted and loses his power. In the natal chart, Sun, Jupiter, and Mars are posited in the 12th House and Saturn passes through Virgo in the 12th House. So Saturn affects all the three stars and the effect is unfavourable. It produces negative results. Saturn may make the company struggle for existence. Ketu passes through the House of destiny, so the company's funds may go wasted. A dissident group may foment trouble and disrupt work. Critics may raise their heads much to the discomfort of the management. On the other side, Jupiter's transit through the 5th House denotes auspicious results. Jupiter outlines activities like imparting trainings to workers and also an expansion of such facilities. Jupiter brings an overall prosperity to the concerned enterprise. Overall, in spite of the challenges in its path, Titan Industries Ltd. will see progress in 2010.